I started this blog on my 25th birthday, and used it to fuel my ambitions: to have as many adventures as possible before I turned 30. How did it turn out? Pretty damn fun. Being accountable to the internet inspired me to really go through with some wild plans – from flying a plane to hiking Mount Washington to cooking a whole chicken. It’s been a great ride – and now I have even more things I want to do with the next phase of my life! See where I got so far – and where I’m going next! Get certified in something – massage, Zumba, crepe-making? Do something meaningful for the 20th anniversary of my cancer diagnosis to celebrate how healthy I am now and help others. 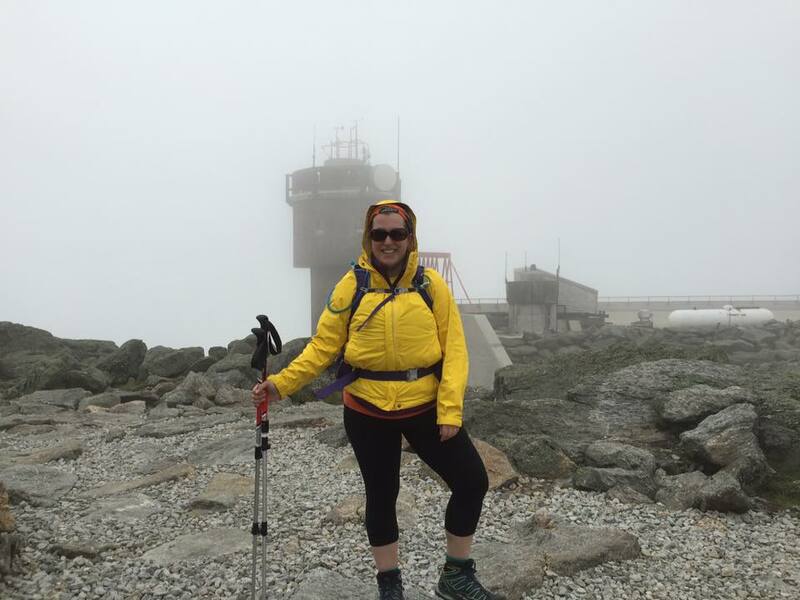 Climb Mount Washington – DONE summer 2015! Get backstage at a Broadway show or a major concert – DONE at Gigi on Broadway, June 2015! Run a half marathon – done, May 2013 – read about the kickoff here and the final result here! Spend some time in Washington, DC – done, over the last few years. What city is next?? Go back to London – DONE times a million when I went to Europe for a month in October 2014. Find a job that I love that helps change the world (right now, I think that will be with a non-profit or government agency that helps women, children, and people with cancer) I’m already doing this, helping amazing non-profits be more successful at fundraising and communicating online – LOVE it. Continue to volunteer at the Hole in the Wall Gang Camp – attended in summer 2010, 2011, 2012 and counting! Visit the White House – done, Jan 2012, though I would still love to actually be invited! Plan a stellar 10-year high school reunion – done, read all about it here! Get recognized by my alma mater, Mount Holyoke College, in some cool way – done, elected communications chair for the class at my 5 year reunion! But I’ll take more if I can get it! Sit in the emergency exit row of an airplane – Done and done (x3). It was actually just as fun as I thought it might be. New goal: fly in the front of a small plane the next time I ride in one. I came so close last time! Even better, FLY a plane – done, September 2014. Look for a blog post on this soon! Try out for a game show – applied to be on Wheel of Fortune – no dice! Also auditioned for a show in July 2013. Price is Right next, perhaps? Deliver the best MoH toast ever at my little sister’s wedding – Done and done! Learn to poach an egg to the extent that I can serve it to someone other than myself – done – so much easier and more fun than expected! Hug a redwood tree – achievement unlocked in 2013! Watch the Red Sox play from the Green Monster at Fenway Park – done, summer 2014 – look for a blog post on this soon! … and more! I’m adding things as I go, and checking things off as I accomplish them! Live somewhere where I can actually follow feng shui and not store everything under my bed (sounds minor, but I think it could be really lovely). And maybe have a closet with a door. You and I will cook a chicken. I’m enlisting to help you with steady volunteering, climbing Mt. Washington, and *maybe* playing guitar in public. Let me know when we should get started!